Handmade using Spalted Silver Birch with a turned Spalted Silver Birch pin, finished in a clear wax to bring out the unique and natural patterns in the wood, perfect for chunky knitwear or scarves. ​Can also be used as a hair clip. Dimensions : pin 15.6cm in length, ring external diameter 6.7cm, internal diameter 4.7cm. Dimensions : pin 16cm in length, ring external diameter 8cm, internal diameter 5.2cm. Dimensions : pin 18.5cm in length, ring external diameter 8.4cm, internal diameter 5.2cm. Handmade in a dark Indian hardwood with a turned Indian hardwood pin with twist detail and finished in a clear wax to bring out the grain of the wood, perfect for chunky knitwear or scarves. Dimensions : pin 14cm in length, ring external diameter 6.5cm, internal diameter 4.6cm. 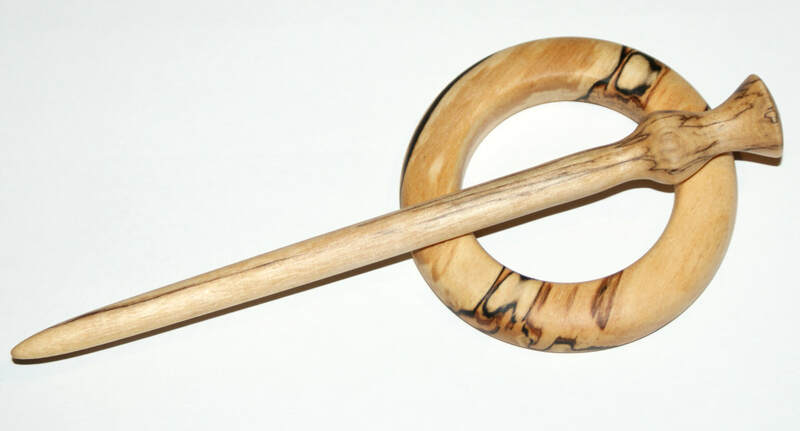 Handmade in Indian hardwood with a turned Indian hardwood pin with pyrography detail on the ring and finished in a clear wax to bring out the grain of the wood, perfect for chunky knitwear or scarves. Dimensions : pin 11.5cm in length, ring external diameter 6.4cm, internal diameter 4.3cm. 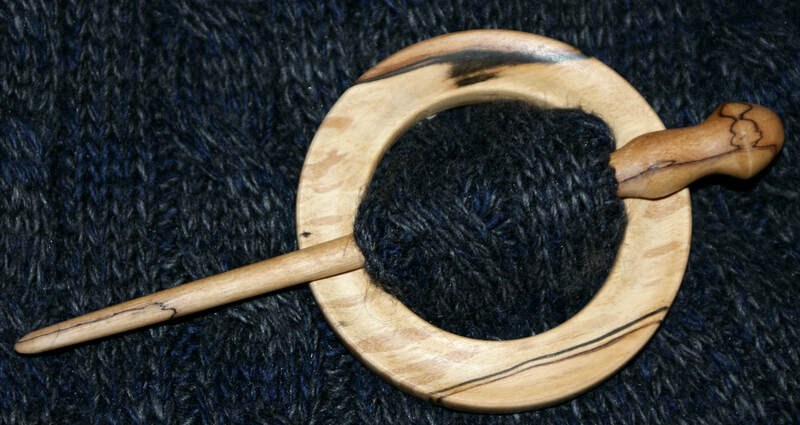 Handmade in Elder with a turned Elder pin with pyrography detail on the ring and finished in a clear wax to bring out the grain of the wood, perfect for chunky knitwear or scarves. Dimensions : pin 12cm in length, ring external diameter 6.4cm, internal diameter 4.6cm. Handmade in Ash with a turned walnut pin and finished in a clear wax to bring out the grain of the wood, perfect for chunky knitwear or scarves. 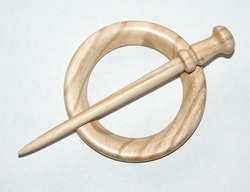 Dimensions : pin 11cm in length, ring external diameter 6cm, internal diameter 4.6cm. 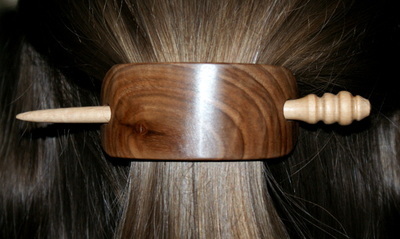 Handmade in walnut with a turned beech pin and finished in a clear wax to bring out the grain of the wood, perfect for keeping unruly hair in check. 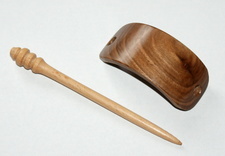 Dimensions : Beech pin 12.5cm in length, walnut section 7cm in length, 3.2cm wide. Heart shaped shawl / scarf pin. 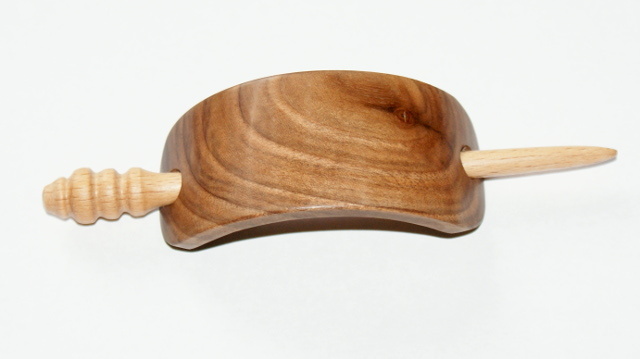 Hand carved in Indian hardwood with a turned Indian hardwood pin and finished in a clear wax to bring out the grain of the wood, perfect for chunky knitwear or scarves. 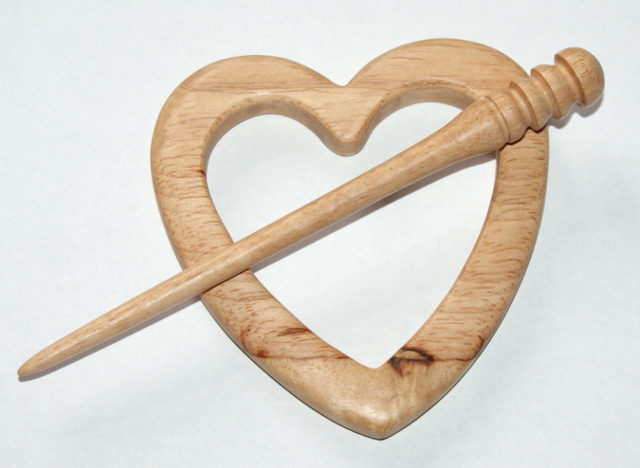 Dimensions : pin 14.5cm in length, heart shape 9cm in length, 9cm wide. 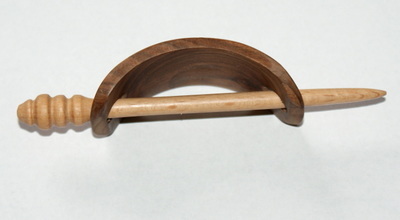 Handmade in Indian hardwood with a turned Indian hardwood pin and finished in a clear wax to bring out the grain of the wood, perfect for chunky knitwear or scarves. Dimensions : pin 12cm in length, ring external diameter 6.5cm, internal diameter 4.2cm. Handmade in Hazel with a turned Hazel pin with pyrography details on the ring and the pin and finished in a clear wax to bring out the grain of the wood and highlight the detail, perfect for chunky knitwear or scarves. Dimensions : pin 11.5cm in length, ring external diameter 6.5cm, internal diameter 4.2cm. Handmade in Ash with a turned Ash pin and finished in a clear wax to bring out the grain of the wood, perfect for chunky knitwear or scarves. Dimensions : pin 11cm in length, ring external diameter 6.5cm, internal diameter 4.2cm.